After our recent trip to Six Flags in Jackson, NJ we were on a bit of a theme park kick. 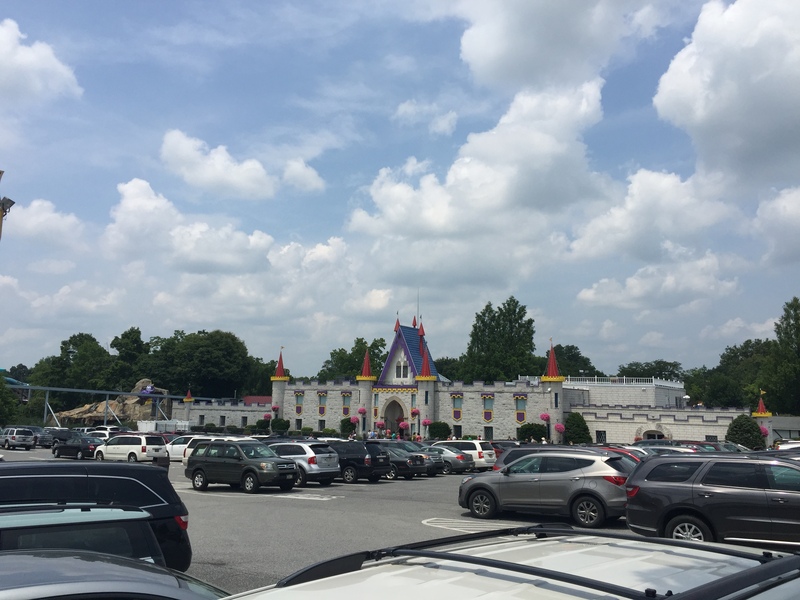 Another place we usually visit about one a year is Hershey Park over in Hershey Pennsylvania, but when thinking about visiting that park I remembered another place. 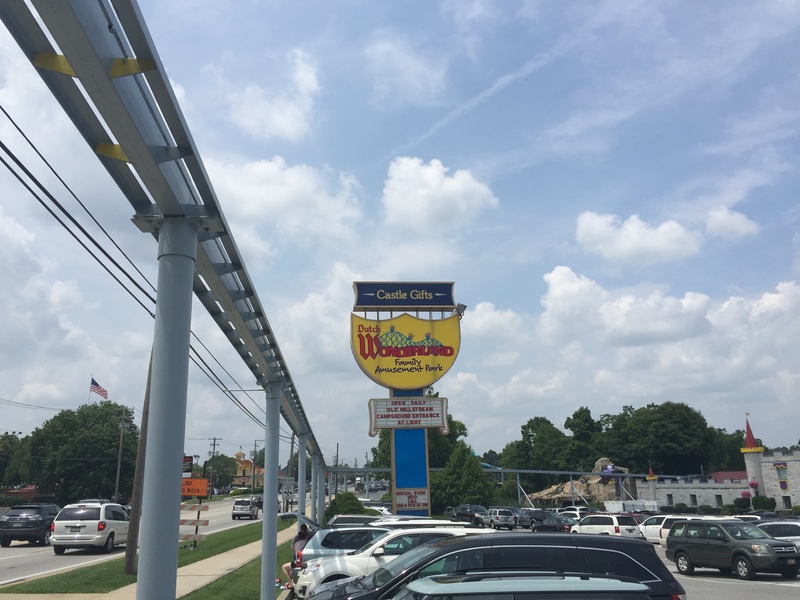 Over in Lancaster, PA there is a family friendly attraction called Dutch Wonderland. On previous trips to Hershey on our way back home we always pass by this place but have never made a trip just to check it out. I did some research online and this seemed like a great place to bring kids 5 and younger as everything is geared specifically for that age range. The drive was about an hour and a half from our house, which gave Hanna a nice nap before an afternoon of walking, rides, and a small water park. As we pulled into the parking lot and made our way to the front entrance we were greeted by the parks main castle. The park was pretty crowded but there were enough things to do that most wait times were under 10 minutes. One of the first things we did was ride a miniature steam train which takes you on a nice tour of the park. Along the way I thought I saw something magical out of the corner of my eye but wasn’t sure so I had to wait until later in the day to confirm. I won’t keep you guessing, but I bet you think it was a penny machine. Well you would be … wrong! Can you believe it. 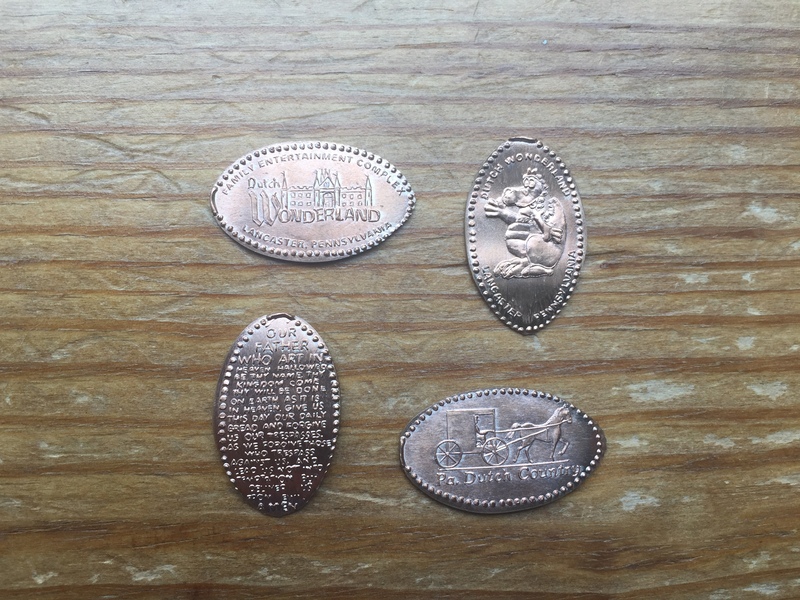 This park does have a couple of penny machines and I’ll go over them shortly but what I thought I saw and did eventually indulge in was something I thought I wouldn’t be able to have again until I went back to Walt Disney World. Dole Whip! Holy cow I just couldn’t believe it. For those of you that read my posts about our big Family Vacation back in April you will know that Pineapple Dole Whip is my new obsession. There were a few people in line ahead of us but I didn’t care. I would have waited over an hour for it. 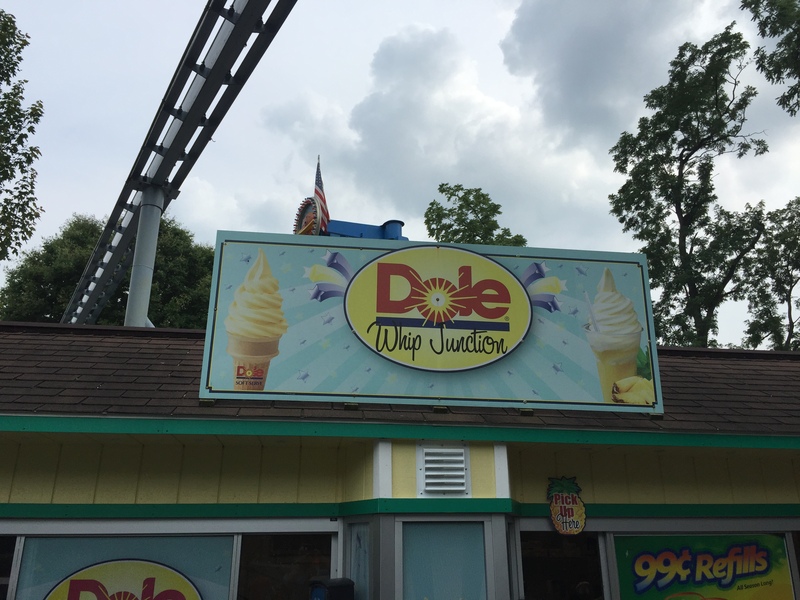 Just like in Disney they had not just the regular Pineapple Dole Whip in a cup, but also offered my personal favorite the Dole Whip Float. 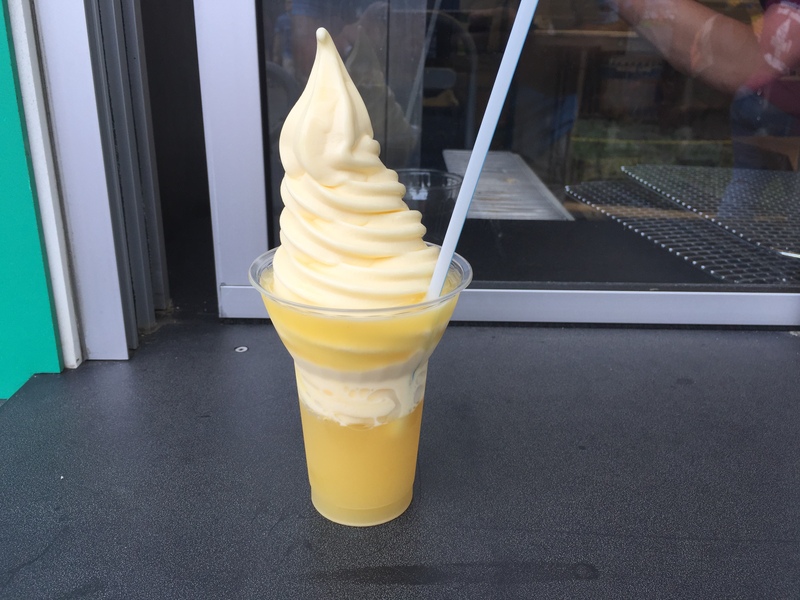 The cup is filled with pineapple juice and then topped off with Dole Whip. It tastes exactly as I remembered and I was in heaven. My wife and I refused to share with each other so we each got our own to enjoy. Floating on a Dole Whip high we continued around the park and went on as many rides as Hanna wanted to go on. 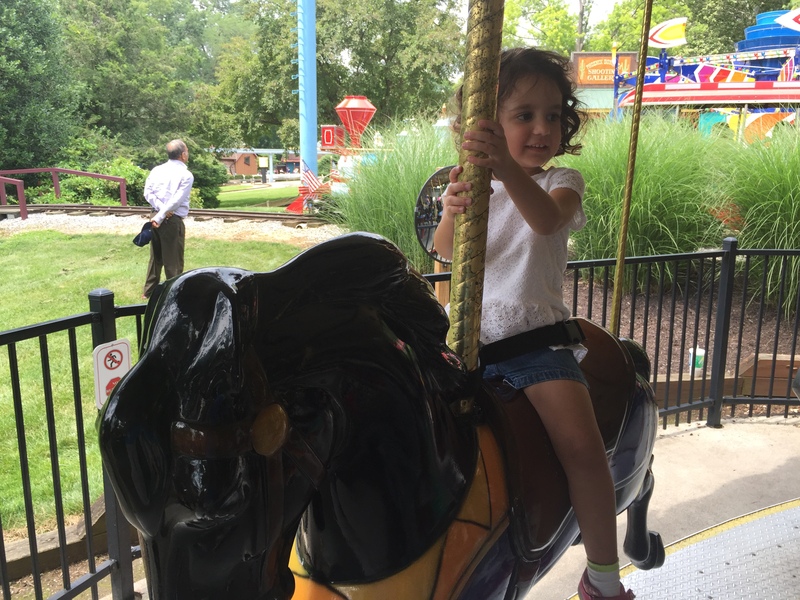 As usually she couldn’t pass up the carousel ride which is her absolute favorite. The park did have a small barnyard area that offered Pony rides for an additional cost. Hanna wasn’t interested but I did manage to find the first penny machine located in the park. This was a 4 design hand crank machine. The designs included: Princess Brooke, Sir Brandon, Merlin and Duke the Dragon. Eventually we made our way over to the small water park that is available as part of your park admission. 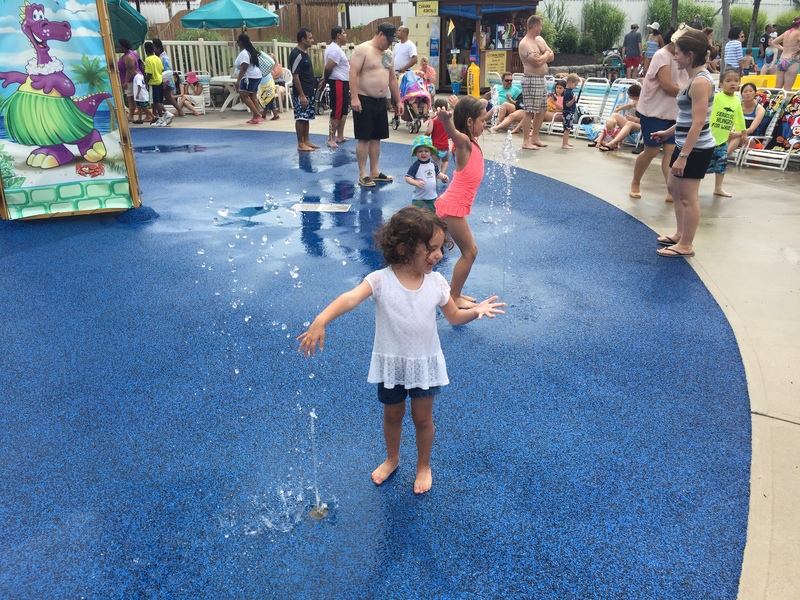 There were a couple large water slides for the big kids and adults, but we just stuck to the splash zone which allowed for a nice break and allowed us to cool off for a bit. After about an hour, our fingers and toes were thoroughly pruned up. Hanna wasn’t too happy when we started to dry off and change. But with all the walking and the bright sun shining down all day she was starting to tired out. We started to head towards the exit where the large gift shop was located. While my wife and Hanna looked at the souvenirs I came across the second penny machine right by the exit door. I always find these style machines a little strange. The cabinet is made of some sort of plexiglass material, but there is no color or designs on them, just completely clear. 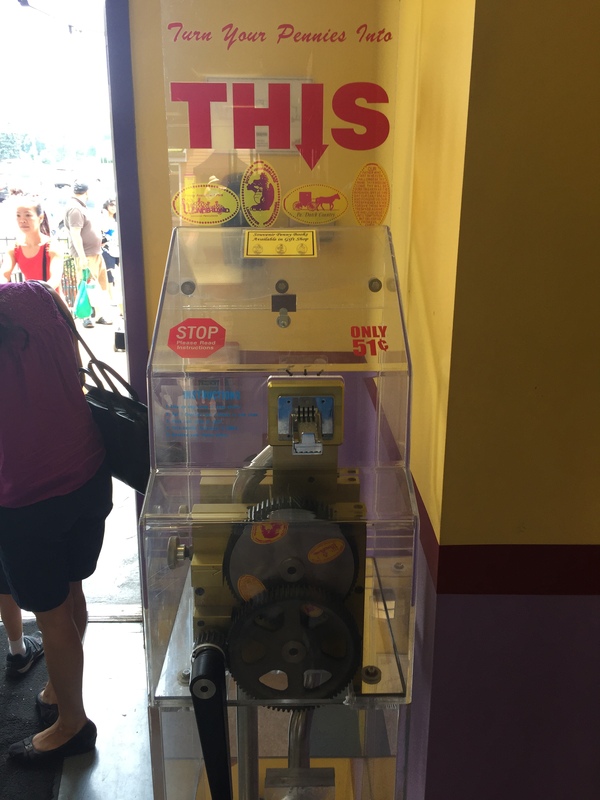 I always like being able to watch the coins going through the rollers but I always get a kick out of the unique themed cabinets I come across from time to time. 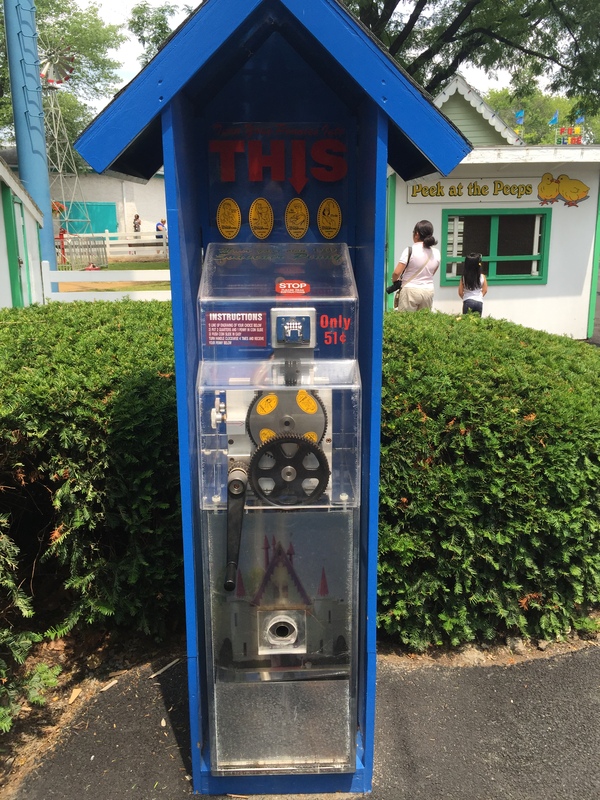 This machine also had 4 designs: Dutch Wonderland Logo, Duke the Dragon, PA, Dutch Country, and the Lord’s Prayer. 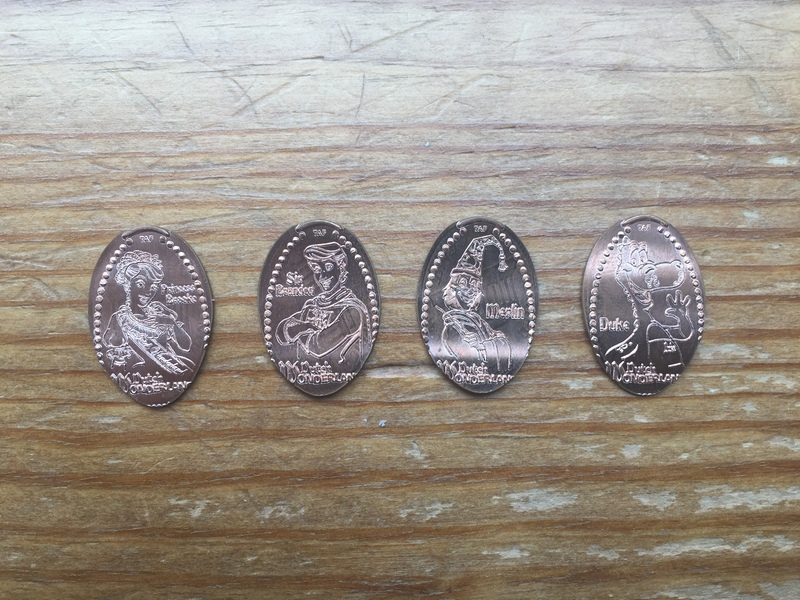 All the designs pressed really nicely and there were no issues with the machine. I had checked online before our visit to see about the machine locations for this park and some previous visitors had mentioned a third machine, but I’m pretty sure we visited every nook and cranny and of this place and didn’t see it anywhere. If the third machine does make another appearance it will just make for a great excuse to come back. Well that and of course the Dole Whip. I may come back just for that!